with the basket reserved just for you. 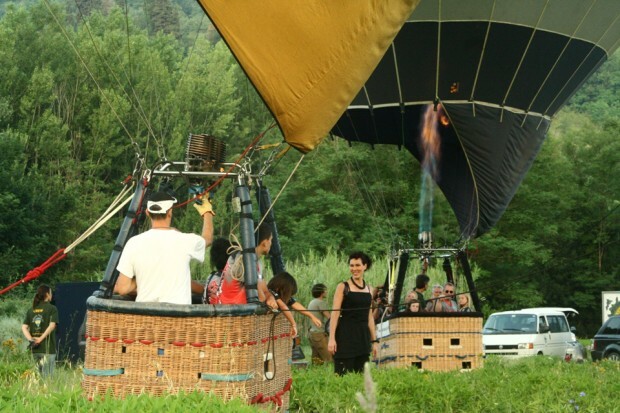 A luxury treat, the authentic ballooning adventure. 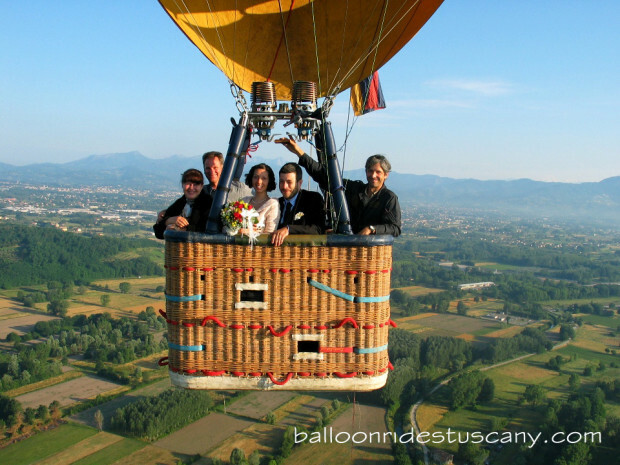 We offer the ‘Privilege’ private flight in a smaller balloon with just your pilot. After landing you will be served an exclusive Champagne breakfast, a picnic in the field we land celebrating your special occasion such as honeymoon, Anniversary or Propsal, your amazing unforgettable event! Standard balloon flight. 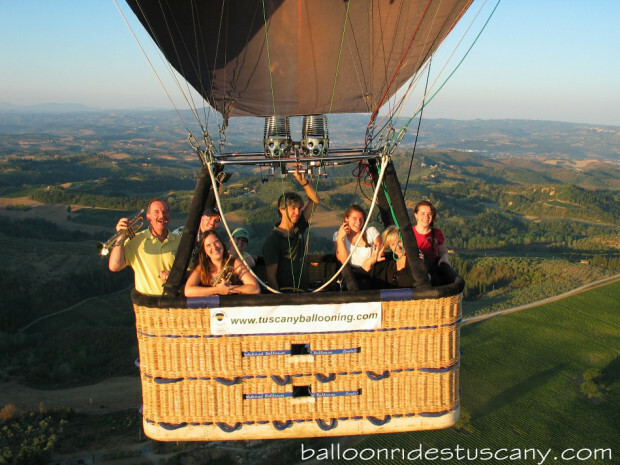 Share your ballooning experience, On the Standard balloon ride you will usually be flying with a small group of four up to eight passengers. 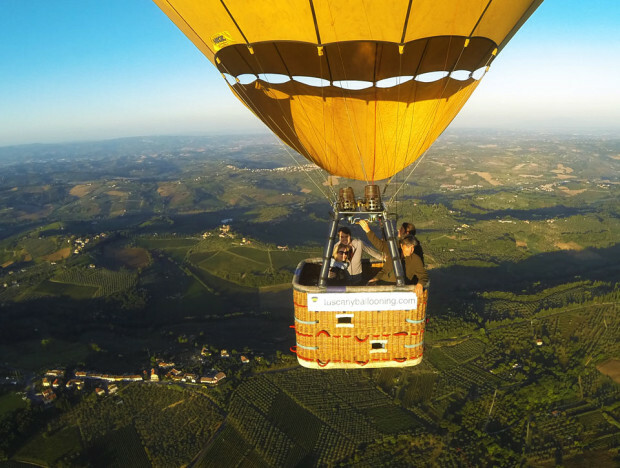 Sharing the flight and Prosecco breakfast with fellow passengers is great fun, exchanging travel experiences and pictures and the joy of flying the balloon over the Tuscan Chianti hills. 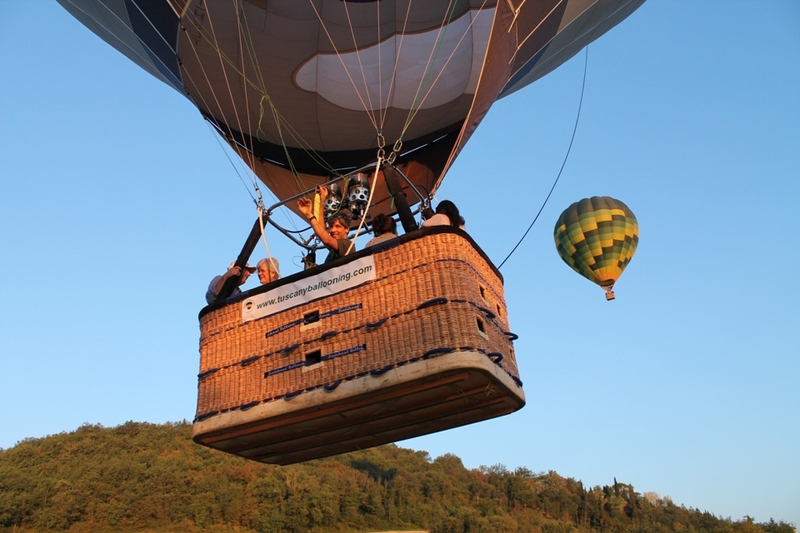 Your ballooning adventure will include an unforgettable flight of about one hour with spectacular panoramic views, and after landing a traditional ballooning ‘Champagne’ breakfast. The whole tour takes about 2½ – 3 hours. Flights are tightly restricted in numbers and availability and filled on a first-come basis. To check availability and to book your flight please send us a message via the Reservation Form , or just call. Family and friends, ready for take off! 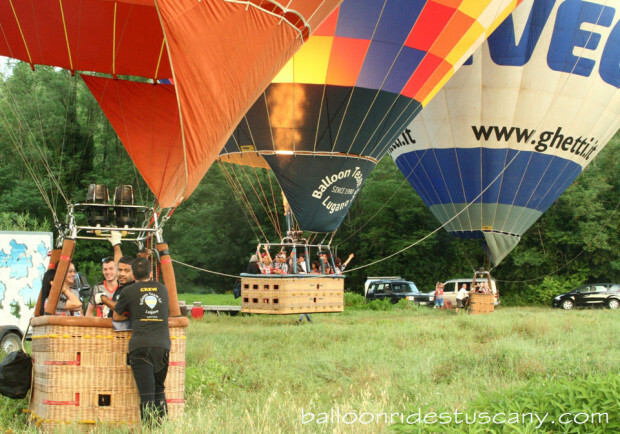 If you would like to book a balloon for your family, or several balloons for a large group, we offer attractive group rates. 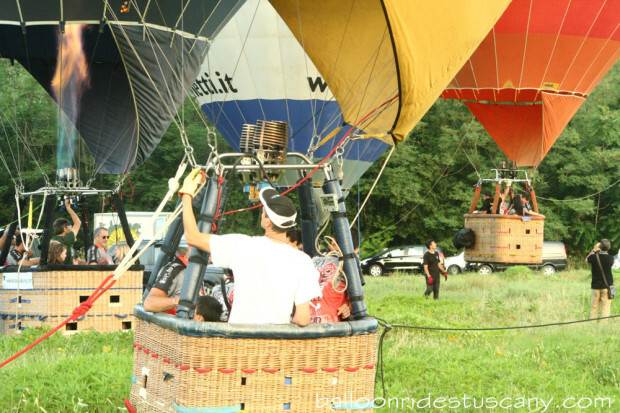 If you would prefer a special private ballooning experience, with the basket reserved for your family or friends only, we offer the Privilege flight for groups. Be it your close family or extended group of friends and relatives or business partners.. we will take you up with our balloons. We operate many balloons with baskets of various sizes accommodating comfortably 5 to 8 up to 16 passengers and with our large fleet we do fly groups of 45 or more passengers. 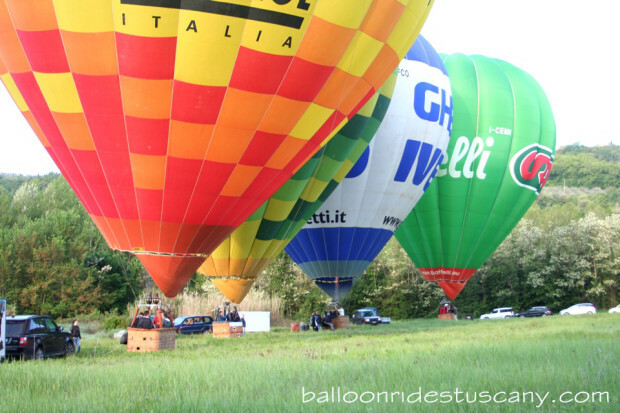 After landing you will be served a Prosecco Toast or the full Tuscan Champagne breakfast in the field we land, celebrating the special occasion! beyond the expectations and be memorable! We take care of every little detail, giving perfect services in a autstanding beautiful setting, providing an experience that allows for both learning and leisure. Please contact us for more information and a detailed quote. Flights are tightly restricted in numbers and availability and filled on a first-come basis. To check availability and to book your group flight please send us a message via the Reservation Form, or just call.